I would like to own my own business but I am overwhelmed when I think about starting one completely from zero. I have some money from an inheritance and I am thinking about investing it in franchise ownership, but I don’t know how to decide if this is a good idea or not. The Web is full of stories of unhappy franchise owners. Are there any happy ones? Should I buy a franchise? 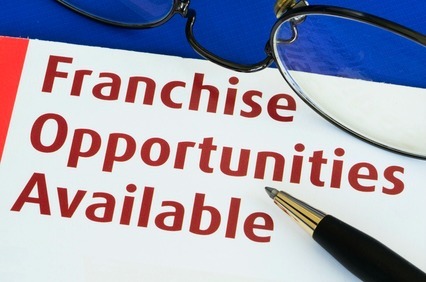 * In addition to the cost of purchasing the franchise, do you have sufficient money to buy the business and then to keep the business alive for the first year? Think about three things: initial capital, working capital, and home capital. Initial capital is everything that is needed to get the doors open and ready for customers. Working capital is the money needed to keep the doors open until a profit starts being generated. Home capital is the money need to pay the bills at home while the business in not making a profit. (Most new owners forget about this item). The time it takes to become profitable or hit break-even varies from business to business. Service businesses that operate out of a home or small office have a low overhead and can become profitable with in a few months. Businesses in a retail space, especially food concepts usually take a year or longer to become profitable. Because franchises have a track record, a prospective buyer can glean profitability info from franchisees who are already established. As you can imagine, the investment into a franchise also varies from concept to concept. A good rule of thumb is: With both initial and working capital included, service based franchises can be opened with $50,000 to $150,000. Simple retail operations usually start at about $150,000 and go up to $500,000. Complex retail, sit-down restaurants, for example, start at about $500,000 and go into the millions. * Do you have a “glass half full” personality? Any business will have bad days and you can’t freeze up. Are you a persistent person who does not accept failure? You can’t see failure as a dead end, only as a sign that you need to go in a different direction to make your business is successful. * Do you know enough about the day-to-day reality of being a franchise owner so that your expectations are realistic? Are you comfortable with the daily tasks that will need to be done? If the franchise you are considering requires outside sales and you are a middle manager who hasn’t sold anything since a lemonade stand when you were a kid, that’s probably a problem. The number one reason for business failure is burnout. If you hate what you are doing, regardless of the profits, you will end up hating the business. * How much business planning have you done? Do you know how many staff members you will need and what type? Do you know the hours that are required? * Do your values match those of the parent company? Like in a marriage, although you’re marrying the one person, you’re really marrying the entire family! Happy franchise owners from Anytime Fitness, CruiseOne, Elevation Burger, Fetch! Pet Care, Golden Corral, and IKOR. Happy franchise owners from Kiddie Academy, Labor Finders, PCA, Primrose School, and World Adult Kickball Association.